Dalmatian toadflax originates from the Mediterranean and was introduced to North America around 1900, possibly as an ornamental garden plant. 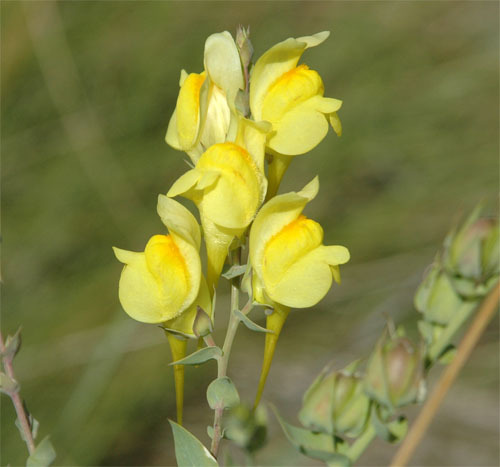 Dalmatian toadflax has the ability to out-compete native plants in pastures and rangeland. Flowers have united petals that form an upper and a lower lip. They are bright yellow and sometimes have an orange centre on the lower lip. The flower also has a conspicuously long spur extending outwards from the base. 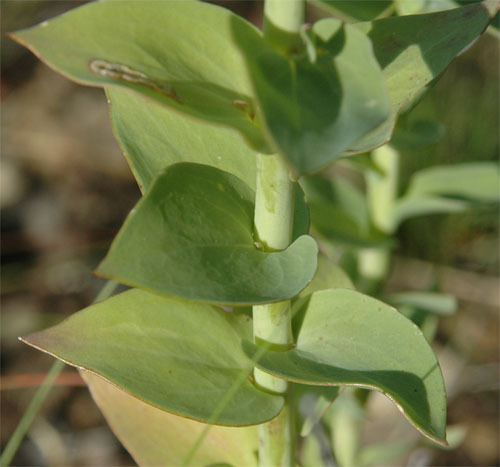 The leaves are grey-green, egg-shaped, heart-shaped or elliptic, and are alternately arranged along the stem. Stems are erect and grow up to 100 cm tall.